Barbara Ann Garrett Ostler passed away at home on November 30, 2018. She was born in Nephi, Utah on November 19, 1938. She attended Juab High where she dated Morris Ostler. After Barbara graduated from Brigham Young University, she and Morris were married in the Manti Temple on June 30, 1961. Barbara was a master quilter. She could always be found in her sewing room with her newest project. She organized and hosted an annual quilt retreat at Aspen Grove. The retreat was always the highlight of her year. Barbara knew everyone, and everyone loved Barbara. Everywhere she went, she made a connection. She had constant visitors at her home, and until her last day she was surrounded by her friends. Her angel friends became extended family as they watched over her after she lost her husband. She knew she could reach out at any time and her friends would come. The family would like to send a special thanks to her circle of friends and neighbors in the Eighth Ward. 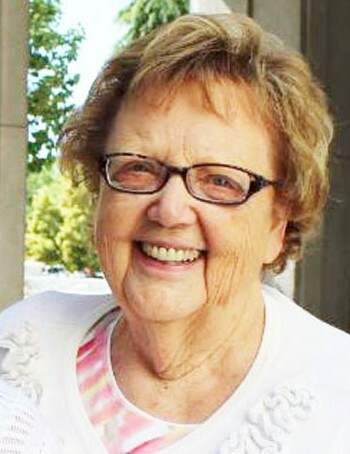 Barbara was a faithful member of The Church of Jesus Christ of Latter-Day Saints. She enjoyed serving the youth in her ward as a Camp Director and Activity Day Leader for many years. She was an excellent example to her children who are all active members of the Church of Jesus Christ of Latter-Day Saints. Barbara was born to Wallace and Mildred Hall Garrett as the oldest of three children. She was the mother of seven children: Judy DeShone (Jim), Kaylene Criger (Doug), Tom Ostler (Ricki), Susie Stewart (David), Heidi Barker (Larry), Stephanie Slye (Mike), Nicole Gardner (Lane), 18 grandchildren, and two great grandchildren. Funeral services will be held at 11:00 am on Saturday, December 8, 2018 at the Edgemont 8th Ward Chapel, 3050 Mojave Lane, Provo, Utah. Friends and family may call on Friday evening from 4:00 to 6:00 at the family home at 3131 Mohawk Lane, Provo, Utah, and on Saturday morning from 9:00 am - 10:45 am at the chapel. The burial will be in the Nephi Vine Bluff Cemetery at 2:30 pm under the direction of Anderson Funeral Home. Barbara died in perfect health...just ask her!